Iceland is a Nordic country of great natural beauty, and one of the very best ways to discover the country is by Jeep. Driving through the rugged and breathtaking landscape of Iceland allows tourists to see the landscape at their leisure. However, the roads are not always paved, and driving through the highlands isn't always easy. In order to remain safe while on the Icelandic roads in a Jeep, keep the following tips in mind. It should be obvious that, as a tourist in a new country, you should be adequately prepared before driving off to a remote location. It is imperative that you let someone know where you are going; if someone knows where you are headed and when you expect to return, you will be in safe hands should an accident occur. This also means that you should draw up a travel plan and not simply drive impulsively. To help your planning, ask locals about the state of the roads in different areas of the island. Someone staying in the same campground as you or the owner of your hotel will be able to provide you with reliable information on which roads are the safest. You can supplement this by checking the road conditions before starting your rover journey and be checking the weather conditions. It is also recommended that tourists travel in groups, which is why Iceland Jeep tours are a good idea. As a tourist who's in an unfamiliar country, you will want others around to help you should an accident occur. In addition to being prepared, it is also important to remember to drive Iceland rovers safely. While the main roads in the cities will be paved, keep in mind that the roads outside of the cities are often narrow and full of potholes. 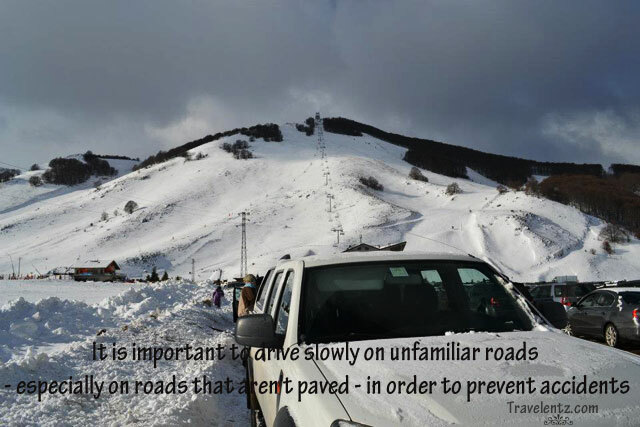 It is important to drive slowly on unfamiliar roads - especially on roads that aren't paved - in order to prevent accidents. Additionally, Iceland is famous for its hairpin turns, blind hilltops, and one-lane road bridges. These roads might be unlike roads you're used to driving on. It might be a good idea to consider Iceland Jeep tours instead of driving on your own. Iceland Jeep tours, especially those offered by the company Iceland Rovers, are a very popular way of seeing the landscape, not only because a skilled local will be driving but also because a trained tour guide will be able to provide you with additional information along the way. This company's Jeep tours last anywhere from 4 hours to several days, depending on what kind of adventure you're hoping to have. Seeing the natural landscape from a Land Rover or Nissan Patrol is an incredible way to experience Iceland. While it is possible to rent Jeeps or rovers and drive yourself, tours are another great option. For those hoping to brave the landscape solo, make sure you're fully prepared and keep these safe driving tips in mind.